By 2014, Huawei’s products and services have covered more than 170 countries, and a third of the world’s population. 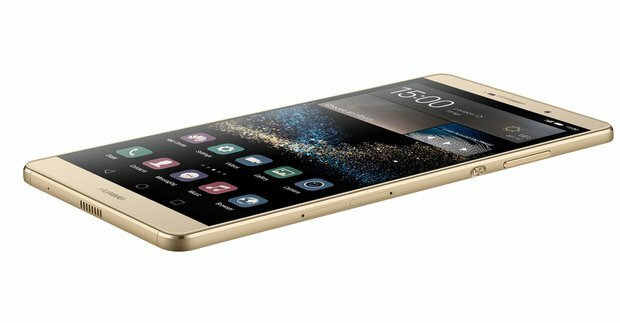 Two years ago Huawei launched the legendary P6 in London, the first in a series of smart, beautiful devices; this week the company returned to London to unveil its two latest P Series smartphones – the user-friendly Huawei P8 and the Huawei P8max. The Huawei P8max builds on the beauty of the P8 design and features a larger 6.8-inch screen, longer battery life and a unique camera with light tracing for any environment. It also inherits the elegant ID design and extraordinary light painting capabilities of the P series devices. Together, these features deliver more fun to consumers through Huawei’s new large screen smartphones. •	The nano-injection molding process results in an industry-leading seamless tight junction connecting a 1.5mm thin plastic bar with one of the industry’s largest screens. •	The phone is 6.4mm thin, with dual SIM cards, and works seamlessly with a 4G network (where the service is available). •	The triple-layer shark-gill design enhances the reliability and robustness of the device. •	Inside, the new Kirin 930 64-bit Octa-Core chipset boosts performance by approximately 20 percent compared with other phones with similar levels of battery life. •	The body’s sleek back cover is constructed of steel, for reinforced structural rigidity. •	For 4G SIM card users, the device features dual 4G SIM card support with two flexible card slots. •	Once the Huawei P8 has identified and connected with a Bluetooth device such as the Huawei TalkBand B2, the phone can be remotely unlocked without entering a password. •	With network roaming performance optimized for 4G, the Huawei P8 connects with network roaming services approximately three times faster than average phone models. •	Additionally, with an optional E-ink screen on the back of the phone, the metal back cover can switch to an eBook in just seconds. •	Industry-leading Optical Image Stabilizer technology up to 1.2°, enabling high-quality photos and videos, and managing camera shake so images are consistently sharp. •	The world’s first four-color RGBW sensor enhances brightness by 32 percent in high contrast lighting situations, reduces it by 78 percent in low light environments. DSLR-levelindependent imageprocessor enabling noise reduction when shooting and intelligentdetection of a high-contrast lighting environment. •	Four professional quality low-light shooting modes giving users access to a virtual photo and video studio to capture artistic inspirations. As for the p8max the 16:9 smartphone provides a better feel for consumers. Additionally, the large 4360 mAh battery features Huawei’s power saving technology and power consumption management technology that ensures outstanding battery life. With this battery, consumers can watch downloaded video for over 15 consecutive hours. The front and rear cameras of Huawei P8max use a 5+13 mega pixel combination and the rear camera is equipped with a professional-grade Image Signal Processor (similar to the technology found in DSLR cameras) and dual-tone flash to bring out true color in night photos. Additionally, Light Painting and Director mode filming provide users with more creative instruments at their fingertips.